2013 has been a great year for us here at Scuba Tech Diving centre in Cyprus and, as it draws to a close, we thought we would have a look back through the last 12 months in pictures. From our Divemaster training at the start of the year, to the kittens being born to the Christmas evening out for the Scuba Tech Diving team... this is how we dive. Having found myself firmly landed back in UK territory and the land of waters cold, I find myself torn. To Dive or Not to Dive, that is the question? 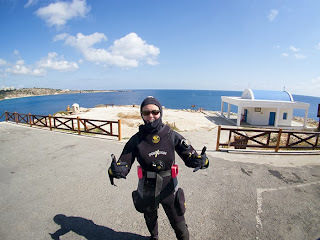 Now, living in Cyprus, I have to say, I am a converted warm water diver and the thought of diving here again sends a chill all through my body but I know I will see my old Dive Club, Roundhill Sub Aqua BSAC in Leicester, look out over the waters of Stoney Cove and wish I was going in with them. You see, in my heart of hearts, I know that it isn't diving in cold water that isn't fun... it is just being cold in the water. The last couple weeks of our summer season in Cyprus has seen the water temperature tumble from around 24 degrees at the end of October to just 19 degrees on our last dive. 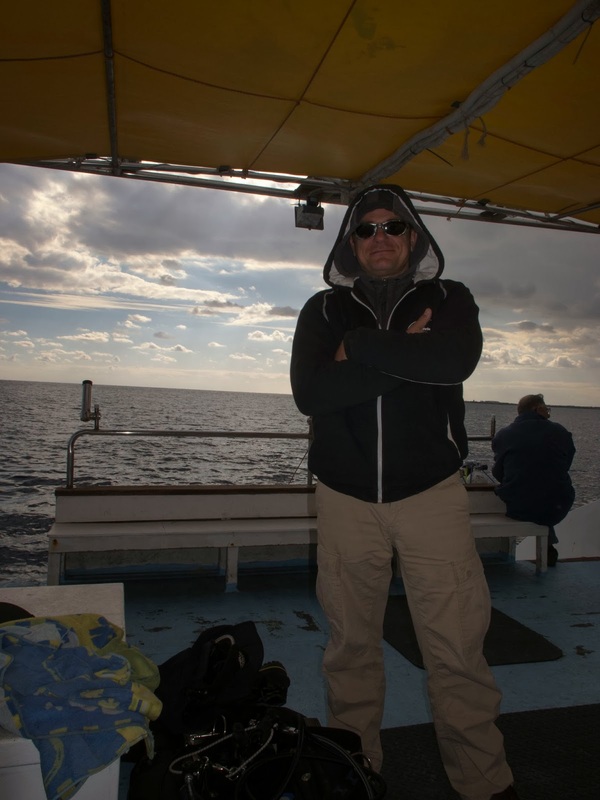 While that may seem balmy temperatures to the hardened UK or Scandinavian divers that frequent our dive centre in Cyprus, to us wimpy divers, that only pull out the shorty for the week or so that the water is above 30 degrees, we tend to get quite cold. Usually, this isn't a problem, if we use the correct tools for the job. So, what do we need to take the Brrrr factor away? In cold water, you cannot beat a Diving Hood. I always hear people saying they don't like hoods and don't want to dive with them no matter how cold they are in the water. Yes, hoods do take a bit of getting used to and you have the added work of making sure the hood is clear of the mask skirt to seal and it can feel a little claustrophobic at first...but after a couple dives, you will be thankful for your hood and it will become the first thing you reach for when the temperatures start to drop. can wear in the water and one to help you warm up after the dive. There are a number of options when it comes to gloves but I have found that 5mm semi dry gloves work very well even in temperatures as low as 2 degrees. There are also drygloves (didn't work for me but others swear by them), mittens or even heated gloves to stay uber warm. Try as many different kinds as you can, find what works for you and use it. 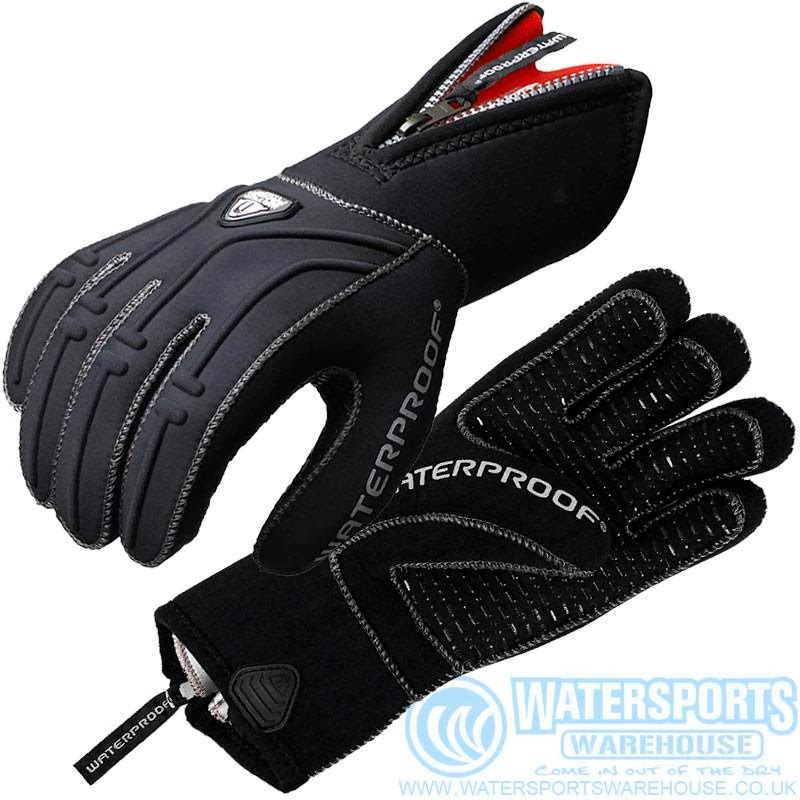 Thermals for under your drysuit or wetsuit are essential in colder water. For wetsuits, there are base layers you can wear under your wetsuit to keep you warmer and we are going to invest in some Lavacore undersuits, which we have had the opportunity to sample this year. Under your drysuit, the thermals you need will vary depending on the drysuit you use. Tri-laminates will usually require more layers or thicker thermals than a neoprene, which has thermal qualities in itself. A new product we have seen and are quite excited about (when we have the cash) are the Thermalution Undersuits for wetsuits or drysuits. Like an electric blanket for the water! 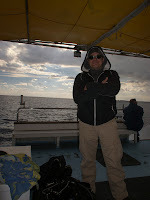 When it comes to thermals, do not forget about the post dive clothes too. Get warm and stay warm to prevent getting ill. 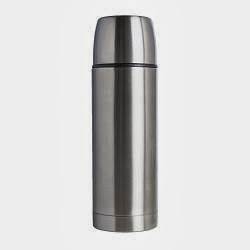 While we are discussing post dive warming, the last item on my list is a Thermos of hot drinks. This will help no end to warm you up post dive. Not limited to tea or coffee, consider other delights such as Hot Chocolate (maybe with a nip of brandy in but only if you have finished diving for the day) or hot home made soups. I think I might have just talked myself into braving the cold again. Stoney Cove... here I come! Now where did I put that thermos? 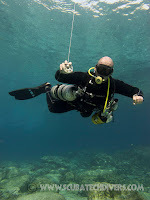 So, I was recently asked by a fellow diver why it was possible to go through a safety stop but not a decompression stop? Basic Diving theory I hear some of you say, but here is the clarification. 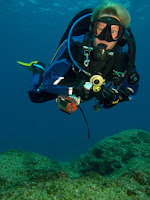 A Safety Stop is NOT a mandatory stop when diving. When we make deeper dives or stay longer underwater, we are strongly recommended that we complete a 3 minute safety stop at 5m to reduce the pressure gradient when surfacing. To explain that, we need a basic understanding of decompression, which, as divers, we should all have from our first training courses. Now, our bodies like balance (No, we aren’t hippy, pipe smoking, new-agers, we really do!)! And, as I am sure you all remember, nitrogen is the inert gas in our breathing mix that isn’t used in any metabolic process and is simply inhaled and exhaled... at the surface. What our clever bodies try to do is balance the pressure of the gas dissolved in our bodies with the pressure of the gas we are breathing. So, as we go deeper underwater our body will dissolve more and more Nitrogen into our blood and tissues and, as we ascend it will release more and more nitrogen. If we ascend too fast, the nitrogen is released too quickly and this is where bubbles can form and resembles that age-old example of the fizzy pop bottle shaken or champagne bottle opened too fast... which is bad! Many dive computers will give you a 3 minute countdown when you reach 5-6m if you make any dive to 10m or beyond but it is just an added safety measure, which means, if there is an overriding factor such as gas loss, you DO NOT HAVE TO STOP! On the other hand, a Decompression Stop is Mandatory. When you have to complete decompression stop it means you have overstayed your allowable no-stop time. You have passed a no-decompression limit on your diving tables or dive computer and you MUST make a stop to reduce the nitrogen in your body sufficiently to ascend further or surface from your dive safely. 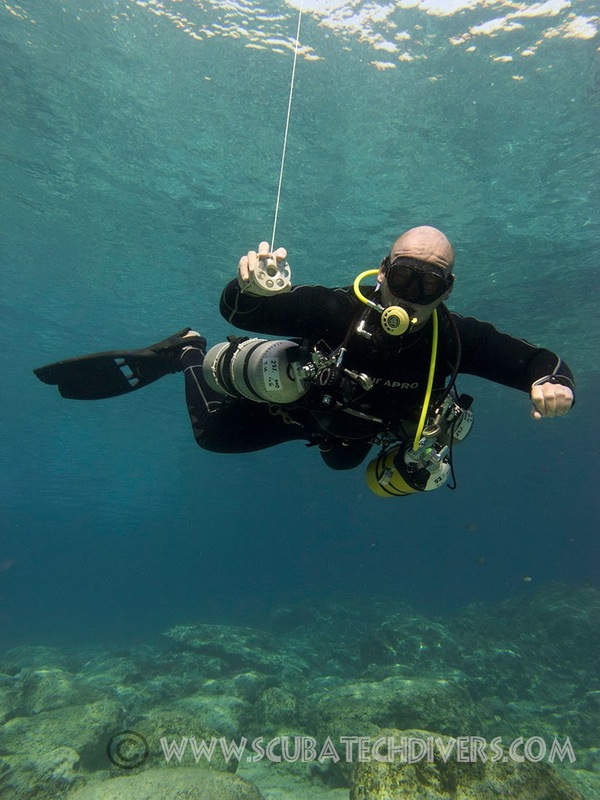 GOING THROUGH A MANDATORY DECOMPRESSION STOP CAN PUT A DIVER AT SERIOUS RISK OF DECOMPRESSION ILLNESS! Some dive computers will add a safety stop onto the end of your 6m decompression stop for added conservatism for your decompression dives. It is often a good idea to add this extra conservatism if possible. So, it is all there is the name really. A safety stop is for added safety and conservatism while a decompression stop is for needed decompressing. Unless you are a qualified decompression diver you should only ever have to be concerned with safety stops. However, in this day and age it is getting easier, as divers, to dive deeper and, once you get to around 35-40m your no decompression times are very short so you need to be aware of your times, depths and when you conservative safety stop becomes a mandatory decompression stop. The next installment of our TECREC courses running here in Cyprus at the moment. This gives an overview of how the TEC45 course runs. 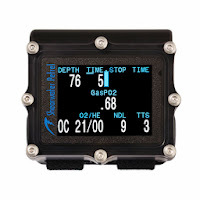 It consists of 4 dives and builds on the skills from TEC40 while adding in new skills and completing a decompression dive to a maximum depth of 45m. 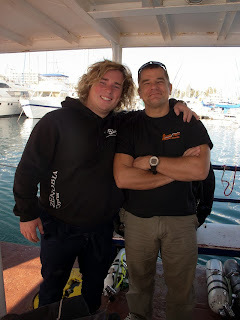 Our Videographer couldn't join us on every dive but hopefully, this will give you an idea of what is involved. Enjoy! December is finally here and Christmas will soon be upon us, so I thought this would be a great opportunity to give those Divers that are not sure what to ask Santa Clause for, a couple ideas for their stockings. Now, some of these things are on my christmas wishlist, while some are items that just got me so excited, I had to buy them in advance. However, all of them are pieces of Diving kit that will feed that need that Divers of all different certification levels get when they see new diving toys! It is at the very top of my Christmas wish list this year and I am trying to be a really good boy so that Santa says "yes". 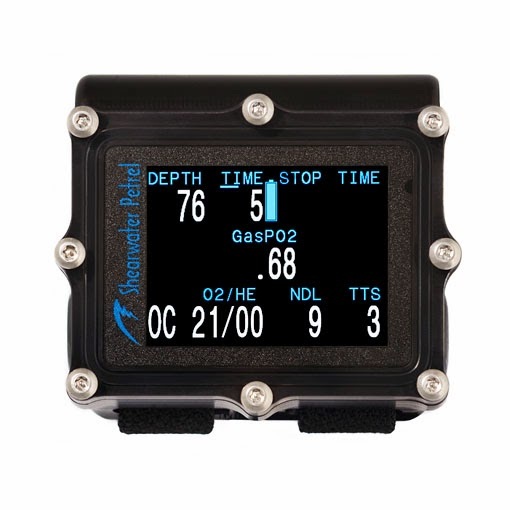 If you have been up to date with our blogs, you will know that a couple weeks ago, I was lucky enough to "try-dive" this fantastic little Rebreather (if you missed it, check it out at this Pathfinder Rebreather Blog Post) and I have wanted one ever since. 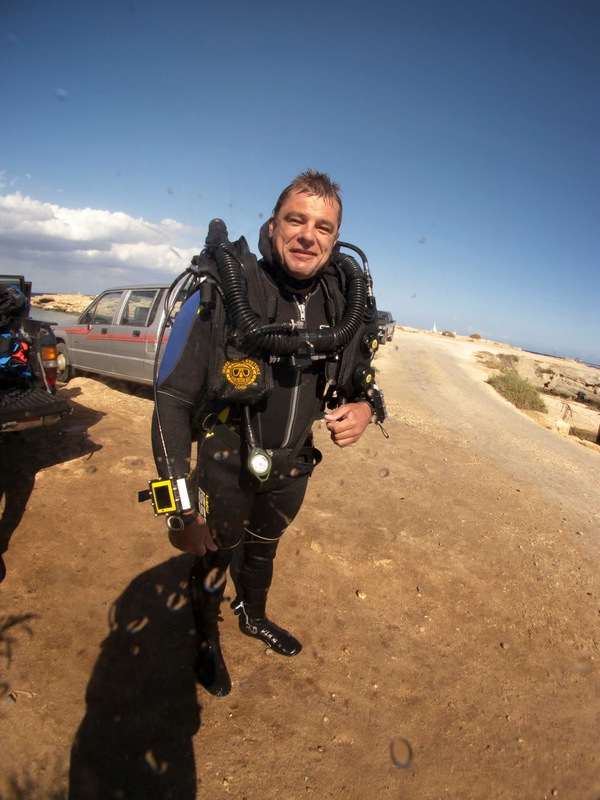 Made by the same guys that made the Megalodon CCR, the Pathfinder is a much smaller and lighter Rebreather aimed at the travelling diver or those slightly smaller in stature but to the same high quality that Divers have come to expect from this company (ISC). If you are considering a CCR, then you will need a diving computer that will accommodate this... Enter the Shearwater Petrel. Little Brother to the Shearwater Predator and descendant of the Pursuit, the Petrel is a smaller sized computer that is open for Trimix and CCR use alongside normal air and nitrox, if you aren't a Technical Diver. The Petrel sports a 2.4 inch HD screen, which shines brightly in the darkest of caves or shipwrecks, is user customisable and adjustable. The menus are simple to use and highly intuitive, especially important on deeper dives where narcosis could be an issue. You can use up to 5 different gas mixes and swap at the touch of a button. 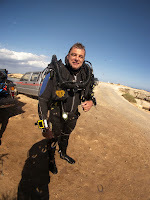 In this day and age of technology, the world has become a much smaller place and, as divers, we can easily travel from the UK to Thailand to Egypt to Cyprus for Scuba Diving. The only drawback for the travelling diver is the cost of baggage transporting all your Scuba Equipment from one destination to another. The Halcyon Traveller combines the simplicity of small jacket systems with the performance of back-mounted BC systems. It uses a unique PA6 Nylon backplate and has an integrated single-tank carrier and Cinch quick-adjust system. The shoulders and back are padded and this provides unparalleled comfort with a 30lb lift capacity. Weight Belts are not needed with this fabulous piece of equipment, as there is a specialised weight attachment system, allowing weights to be distributed across the diver's back rather than the waist. All of this combined with a number of other unique design features means the Halcyon Traveller BC System weighs in at less than 3kg. 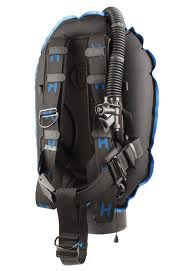 A must for the Diver on Tour! Full Set of Miflex Hoses. 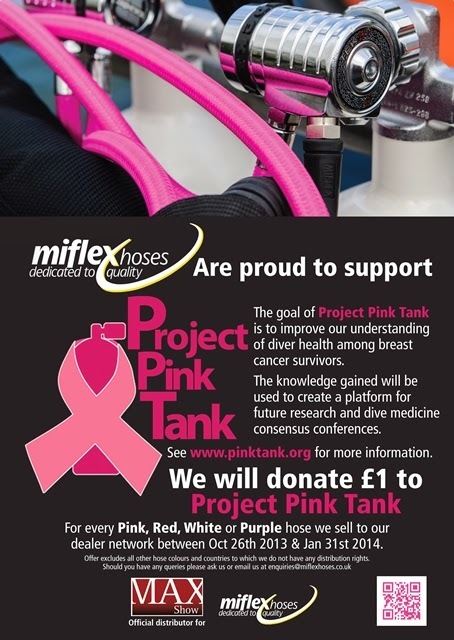 Miflex Hoses are flexible and durable and a great alternative to the usual rubber hoses that are commonplace on Scuba Diving Equipment. They have an average lifespan of three times longer than traditional hoses, excellent resistance to abrasion with a Kink-resistant design. 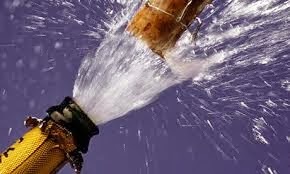 You can even tie an XTREME hose into a knot and air flow remains continuous. 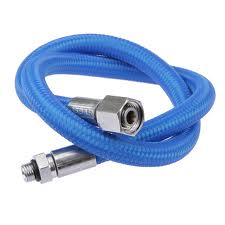 These hoses also have a burst pressure more than twice that of traditional hoses and since they are available in a multitude of colours, such as; Green, Black, Red, Purple and Glow in the Dark Yellow to name just a few, you can stay colour coded and at the height of fashion. Miflex are currently running a "Pink Tank" promotion, which means that miflex will donate £1 to Project Pink Tank for every Pink, Red, White or Purple Hose they sell. With 30 individual safety tests performed on every hose, Premium Packaging that doubles as a water-resistant document wallet and all hoses approved and certified to EN250 Standard, why are you still in rubber?